The StrideOn knee walker is a revolutionary alternative to crutches which helps you to carry on with everyday life. It Supports your lower non-weight bearing leg safely, keeping it out of harms way. 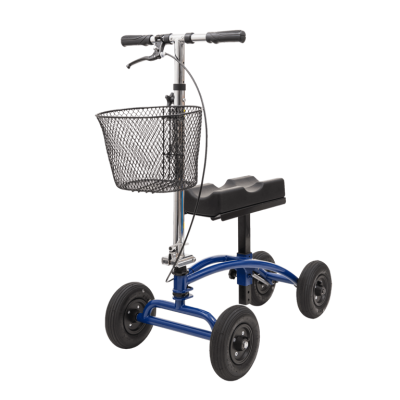 The StrideOn Knee Walkers unique design has five wheels, four for total stability and a main steering wheel. Its patented steering system allows the user to steer in the tightest of areas, almost 360 degrees. The StrideOn knee walker has a rear disc braking system which is much safer than other methods. With a brake lever on both sides of the handlebars, you can use either or both at the same time, you always have access to a brake, whether using one or both simultaneously. The handlebars and the padded knee pad are adjustable for different heights of user. The other unique feature is the ability to offset the knee pad either for left or Right-hand leg injuries. 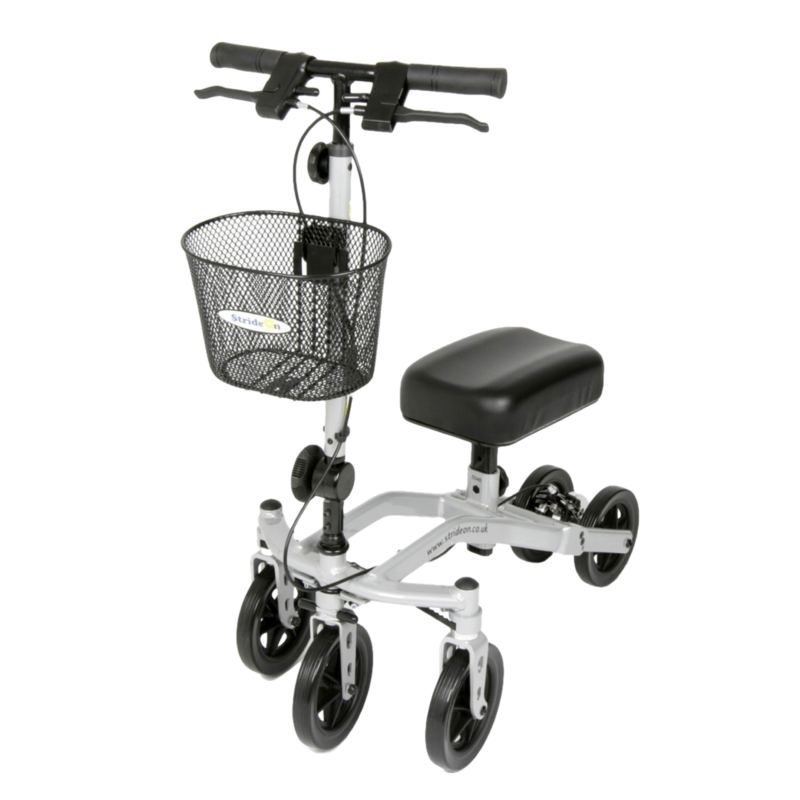 The StrideOn folds easily for transportation and has a removable basket attached to the front. The StrideOn knee walker has the capacity to carry a weight of 28 Stone / 175kgs.